...is just a word for nothing left to do. I retired from the Summit County Sheriff's Office in 1992. I retired as Summit County Director of Public Safety and Summit County Coroner in 1995. I retired as Summit County Commissioner in 2004. I retired as Colorado State Representative in 2007. Now I am just tired. I continue to teach full time at Colorado Mountain College where I have taught for the past twenty seven years, since 1983. I started teaching at Metro State College in Denver in 1970 so I guess it is really forty years off and on. I have lived in Europe, Mexico, Guatemala and Ecuador. 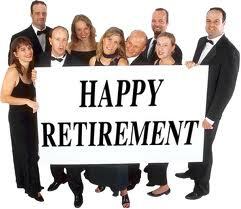 I have spent a lot of time in the retirement havens of Florida, Arizona and California. I spent my first eighteen years in a small farming community in Iowa. I just celebrated my 50th High School reunion in Iowa. Everyone I know is either retired or getting ready to retire. People ask me almost daily when and if I will now finally retire. I doubt it. I love teaching. If I thought that there was any place better than the mountains of Colorado then I would leave and go there. Nope. I am here to stay. Someday they will have to pry my cold, dead hand from my snow shovel and that is the day that I will actually retire.